A wooden church. A graveyard. A misty day. And then there’s that dribble of white paint…. 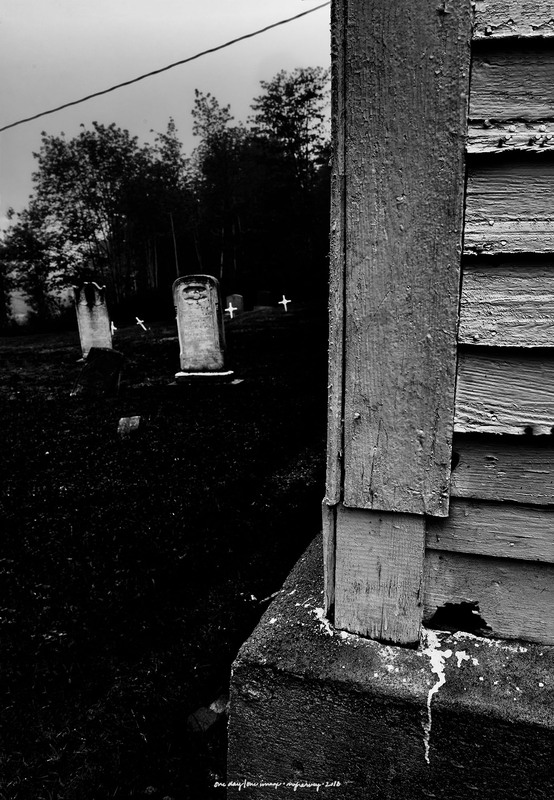 Posted on October 4, 2018, in Photography and tagged 365 photo project, black and white photography, cemetery, church, learning to see, melinda green harvey, monochrome, Nova Scotia, one day one image, photo a day, photography, postaday, road trip, thoughtful seeing, travel photography. Bookmark the permalink. 4 Comments. I thought the dribble of white might have been the gift of a raven. I love it how your words make me really love a photo that I would normally not pay enough attention to. Then I guess I’ve done my job!